Vintage-correct reproduction of 1950s Tele rhythm pickup. Great for traditional country, country pop, surf, rockabilly, blues, and blues-rock. The rhythm (neck) pickup in a well-balanced vintage Telecaster compliments the bright twang of the lead pickup with a smooth and open tone, warm lower-mids and airy highs. Comes with a chrome-plated brass cover and waxed cloth hookup cable. Available in rhythm (neck) position only. Either the STL-1 or STL-1b is the most common match for the lead (bridge) position. 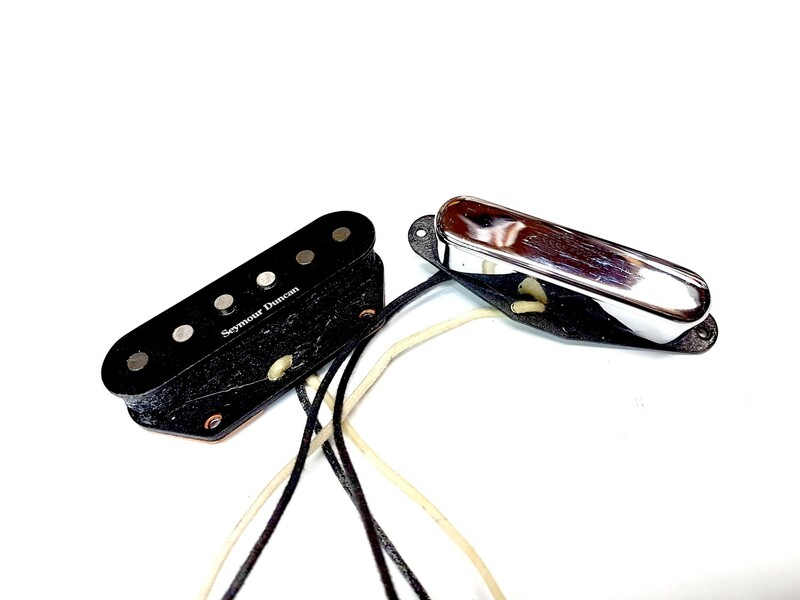 Vintage-correct reproduction of 1954 Tele lead pickup. Perfect for traditional country, country pop, chicken pickin', rockabilly, blues, and blues-rock. Like the 1954 originals, this pickup features standard .187" diameter Alnico 5 pole pieces, raised for the "D" and "G" strings. The result is a twangy, bright and biting sound. Compared the STL-1b, the Vintage '54 has slightly reduced output and a bright and biting high-end detail. Comes with waxed cloth hookup cable.